At Co-lab Architecture we have considerable experience designing childcare spaces that comply with government regulations. We worked with our client to create this unique two storey childcare centre, making our knowledge of regulations and compliance even more essential. A childcare centre over two storeys is unusual, but is becoming an increasingly necessary consideration in the inner suburban areas of Melbourne where commercially viable land sites are limited. Liaising closely with the council we determined the ideal design for this site, which uses traditional materials and construction methods in an innovative way. Large windows on the ground floor create a sense of space. 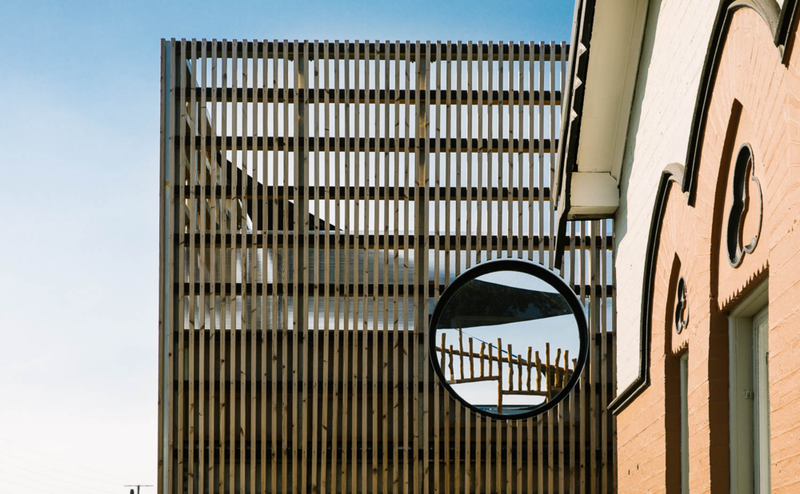 The use of timber batons and perforated metal sheets on the first floor ensure a secure play area and provide visual connection to the outside. The inclusion of glass windows in the floor allow peer interaction between levels and add to a sophisticated building that appeals to children and parents alike.